HomeFitnessCan the Hollow Body Rock Exercise Lead to Back Pain? Can the Hollow Body Rock Exercise Lead to Back Pain? I have a great question from a Fix My Back Pain customer that I wanted to answer for him but then also do a video on it because I think it will end up benefiting you. The question comes from Selven and what it has to do with is the Hollow Body Rock Exercise. Is the Hollow Body Rock a sit-up or a crunch? 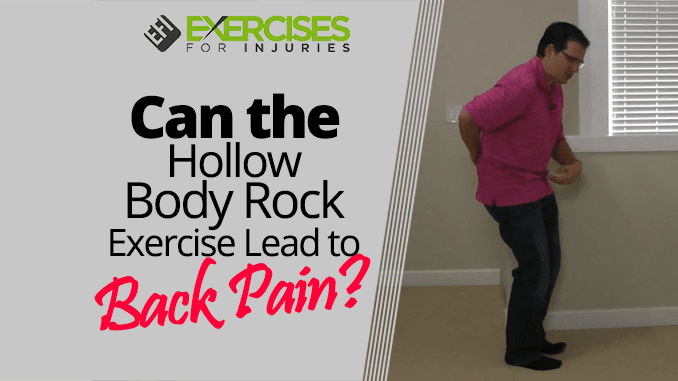 Does Hollow Body Rock cause back pain? Now, maybe I will take a step back and explain what a Hollow Body Rock Exercise is. It’s an exercise that I don’t often do as it gives a lot of strain on my back. #1 – How to do the Hollow Body Rock Exercise? I will demonstrate it to the best that I know of how to do the exercise. I am lying down, feet are together and toes are pointed away. I am going to round out that lower back and I want the full back to be rounded. I am going to lift the hands up a bit and I am going to lift the feet and I am utilizing my abdominals in order to rock my body back and forth. That’s the basic demonstration of how the hollow body rock exercise is done. #2 – Is the Hollow Body Rock Exercise a crunch or a sit up? — Well it’s neither one of them. It is a gymnastics conditioning exercise that targets the lower abdominals. It is an exercise that has come from gymnastics and it has become quite popular of late due to the rise of Cross Fit since gymnastics is a component of Cross Fit. #3 – Does the hollow body rock exercise lead to back pain? –— And the quick and simple answer to that is YES. The reason why I say that is for the average person out there it is an advanced exercise to do properly. Most people have poor technique when doing it and with that poor technique it ends up increasing the risk of injury. Also, looking at the exercise you are supposed to be flexed throughout that whole spinal – lower back, the thoracic spine, and your neck. You are supposed to be flexed all throughout that whole spine. And with that whole spine being flexed, it ends up putting greater stress on the lower back and increases the risk of back pain or back injury. Summarizing what my advice would be when it comes to the Hollow Body Rock exercise is, if you have had back pain or if you have back pain, it is an exercise that puts lots of load on the spine and increases the risk of back pain, back injury, and back flare up. I would advise you not to do it if you have back pain or old back injury. If you want to give it a try or to master the exercise, it can be done just make sure that you get good coaching and good guidance on it. There you go Selven, thank you very much for the two questions when it comes to the Hollow Body Rock exercise. This is Rick Kaselj from ExercisesforInjuries.com and FixMyBackPain.com. 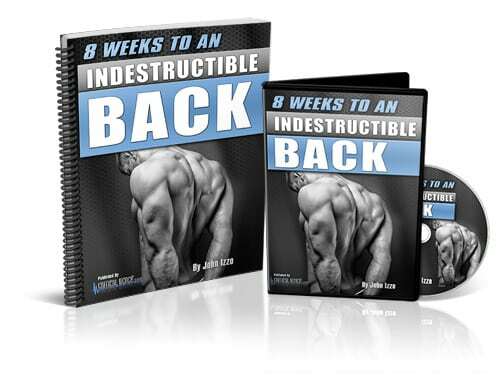 If you are on the road to recovery with your back pain and you are looking to make your back stronger, I would recommend Indestructible Back. Make sure to swing by ExercisesforInjuries.com enter in your injury or pain there’s a good chance that I have a video, article, or an interview for you that will help you with your injury or pain. Secondly, if you are watching this on YouTube, head up above and hit subscribe. 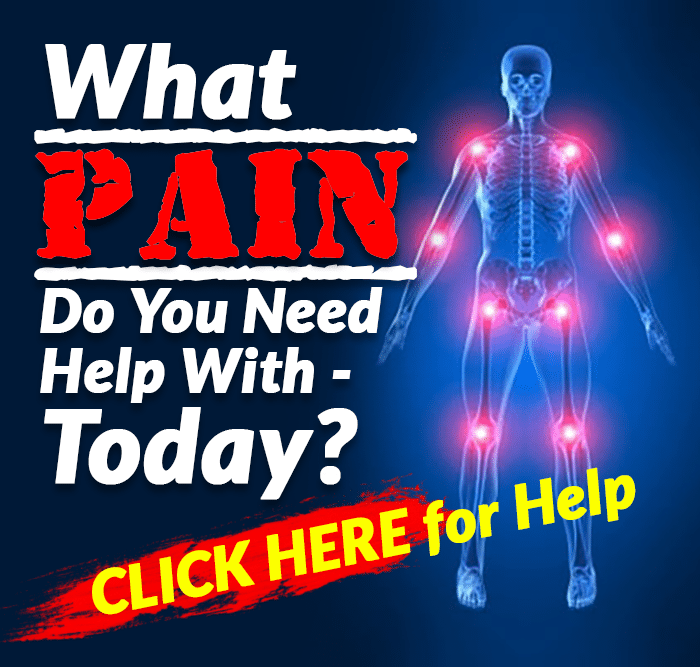 What that will do is every couple of days you will get a video like this where I talk about on what you can do about a variety of injuries or pain, or you will get a video from one of my friends in the health and fitness world. Lastly, head down below and hit LIKE. Leave me a comment or a question and I will definitely get back to you. This is Rick Kaselj from ExercisesforInjuries.com saying take care and bye bye. How to Decrease the Pressure in Your Back After Sitting? Is the Bent Over Barbell Row Good for the Back? 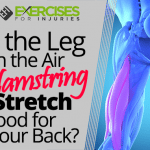 Is the Leg in the Air Hamstring Stretch Good for Your Back? How Do I Know if I have Tennis Elbow Pain?